My return visit to Copenhagen is at an end and, after a 24 hour stop-off in England, I’ll be on my way back home to Canberra very shortly. Supporting a sports team is a lifelong commitment, one that defies logic, rises above setbacks and, once established, pulses deep in the veins. But what does that mean for a new migrant, thousands of miles from his homeland, in need of a regular fix of sporting action. It’s a question that has nagged at me for years, ever since I gave up my Liverpool season ticket when my family moved to Denmark. But at least Denmark was close enough for the occasional pligrimage to see the boys in red play. Australia, well, that’s another matter entirely. 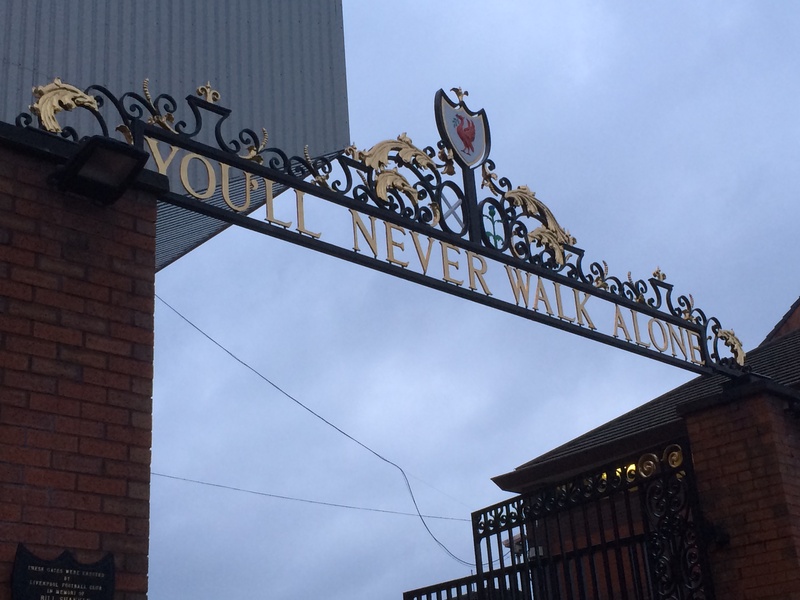 The famous Shankly Gates at Liverpool’s Anfield stadium.